Is Your Baby Teething? 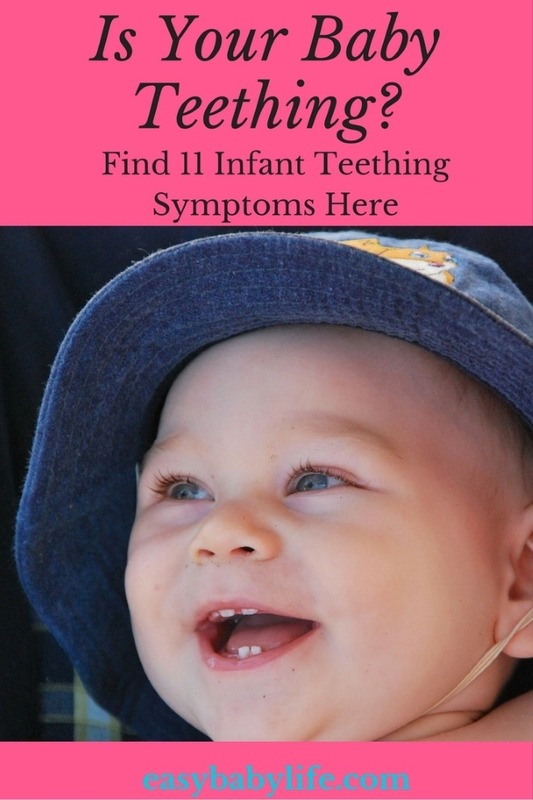 11 Infant Teething Symptoms Not To Be Missed! Home > Daily Baby Care > Is Your Baby Teething? 11 Infant Teething Symptoms Not To Be Missed! Someone told me that if adults had been teething, we would go insane by the pain. With other babies, you might not notice any difference at all until all of a sudden you see something tiny and white in the mouth. Different teeth may also be more or less painful. The molars that toddlers get at around the age of 2 are not much fun for example! Many babies also seem to suffer the most the first time they are teething. So what are the most important baby teething symptoms? Did you know that some babies are actually born with a tooth or two? But that is very uncommon and only found in about 1 of 2000 newborn babies. Most babies sprout their first tooth between 4 and 7 months of age. But both earlier and later is normal. For some, the teething doesn’t start until the baby is approaching his first birth day. So if your baby is older that 4 months and show some of the signs of teething mentioned below, his gummy smile might soon be gone. Usually, a baby’s first tooth to erupt is one of the central incisors, that is the lower central teeth. Often the two lower central teeth sprout first, then the upper central teeth. That’s not always the case, though. For example, our daughter first got her two lower central teeth, but after that came the two teeth next to the two front teeth is the upper jaw. It looked very funny! She resembled a (very cute) little vampire! If you want to know when to start looking for signs of teething, ask your own parents (and those of dad’s). Teething is affected by genes. If you or dad was late, chances are your little baby will have a gummy smile for quite some time too. Your baby’s gender may also play a role. Girls generally tend to be teething a bit earlier than boys. All babies drool. Some more and some less. Some have to wear drooling bibs more or less all the time. Also, many babies drool more when they have a cold or if they simply find it amusing to play around with their tongue. This means that drooling is not at all a certain symptom of baby teething. But, if your baby starts drooling much more that previously and is older than four months, chances are that the teething is starting. A rash or flushing is sometimes reported as a sign of baby teething, probably due to excessive drooling. The rash is supposed to appear on the cheek next to where the tooth is erupting. I’ve never seen this myself, but if your baby has such a rash, check for other symptoms of baby teething as well. Expert opinions divert on this symptom. Some think a low-grade fever, maybe together with some diarrhea can be a sign of baby teething; some say that there is no such connection. One thing is sure though, a high-grade fever is not a sign of teething but of illness! If your baby is suddenly much more cranky that usual for no apparent reason, it might be a sign of teething. This is not true only for babies, but a toddler getting his molars might be quite cranky too. 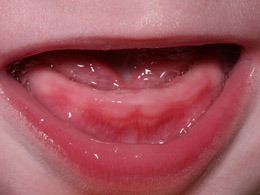 Red, inflamed gums is actually the only really certain sign of baby teething, from my experience. If you look into your baby’s mouth and see an isolated area that is red, swollen and almost inflamed or bruised (in an area where there should be teeth sticking up), a tooth is likely to be on its way. If you see small white dots, then you can be very sure. Still, it may take a few days or more before a tooth actually erupts. If your baby is trying desperately to chew and chew and chew on everything, it might be because of teething pain. However, since babies generally chew on everything anyway, this is not a very certain sign of baby teething. But if your infant is both drooling a lot and is trying to bite on everything, chances are that a tooth is on its way. Many babies sleep really bad while teething. No wonder – they are in pain! Again poor sleep is really part of a baby’s first year anyway, so it is certainly not a sure sign of teething. But combined with other signs, it may tell you what is going on. 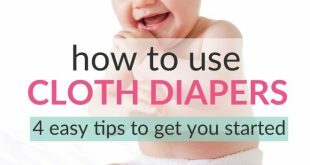 If you need some tips on how to sleep better yourself during a period when your baby sleeps bad, click here. Luckily, there are several ways to mitigate the teething pains for your baby. You’ll find tips on teething remedies here. Now over to you – how have you noticed that your baby might be teething?